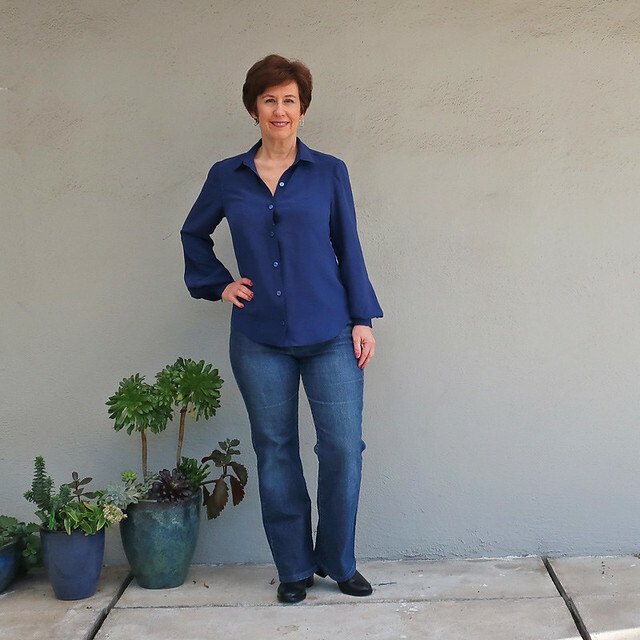 While I'm currently working on a raspberry color silk charmeuse shirt, today's post is my recently completed silk crepe de chine shirt, a pattern repeat that I'm not sure was the optimal choice for this fabric. 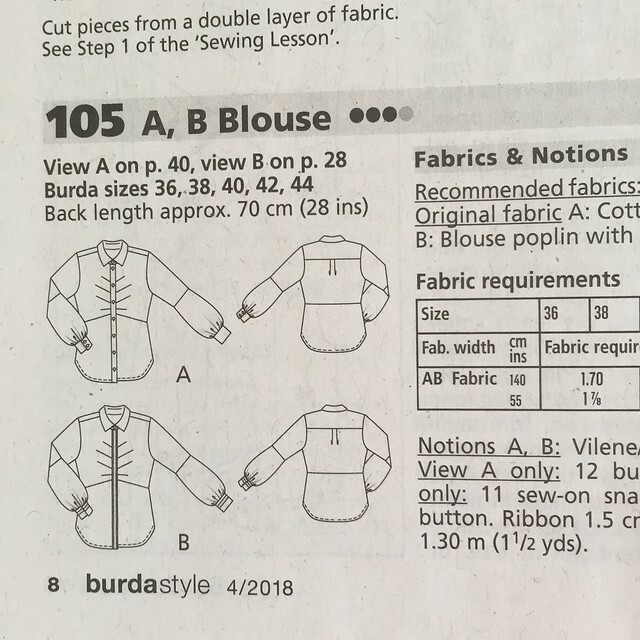 I decided to use a Burda magazine pattern I previously sewed up in in a print cotton, as the details didn't show on the first version. The darts look a bit bumpy in this picture - I have subsequently pressed the shirt front again after I saw these dress form photos and the front is smoother. However I think the pattern is a tiny bit problematic just across the upper chest - I found that it needed about 1/4" more fabric at the center where the button band meets the shirt front, which would eliminate a tiny bit of pulling. 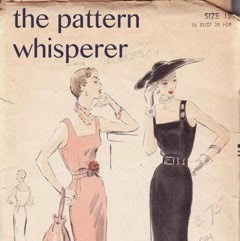 Although it is not as noticeable when worn - the shape of a dress form never really mimics the curves that a person has. Also in a crisper fabric this pattern definitely works better. Also while I like that blank wall for taking pictures - eek the color of it is...not good. I am even thinking of painting a white square on that section of my house for optimal sewing project photos. Crazy or dedicated? 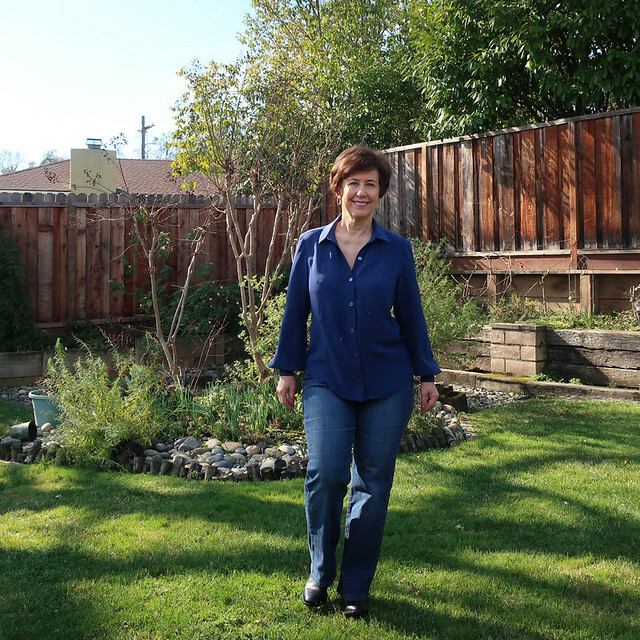 My house is a pale sage green color - nice for houses but a bit glum for photo backgrounds. On the topic of silk, I posted an in-progress photo on my IG of the silk charmeuse and received a comment asking about how I dealt with the static when wearing silk. What? I've never had this issue. Perhaps it has to do with the climate where you are. We have a fairly consistent humidity and temperature and I never hear people mention a problem with static - in fact it is kind of an unusual occurrence. I think it happens more in cold dry air? So I have no advice on this one. Again - disclaimer on my embarrassing lack of pressing here:) or in fact bad pressing to add wrinkles where none should be! 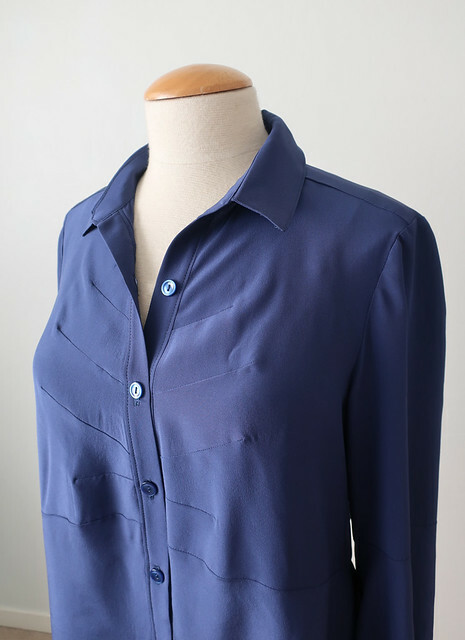 However you can see the seaming on this shirt - it has the interesting sleeves which have a seam at the elbow, lining up with the seam at the waist back and front. I bought this fabric at Mood Fabrics in NY back in October 2016. It does coordinate with the wool I bought, which I sewed up into a jacket. 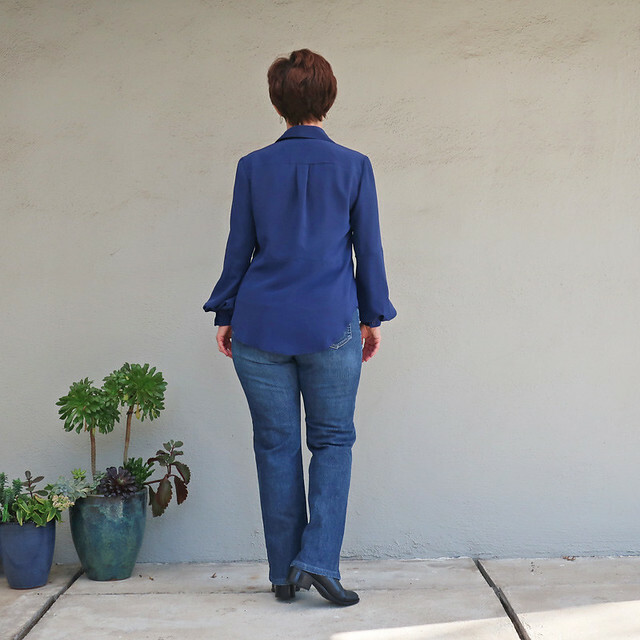 Here's the post on that jacket and another silk blouse. Why I bought two similar silks I'm not sure. The other day I did a big closet clean out (along with everyone else in the world, right?) and found these jeans which are kind of a cross between boot-cut and wide leg. They are definitely not skinny jeans, and maybe 7 years old? Anyway I kind of like them again and think they will go back into the jeans rotation. The sleeve doesn't appear as full in this silk version as it did in the cotton version, I suppose due to the drape of the fabric. Sewing detail: I didn't take any photos as I sewed, except for this one. 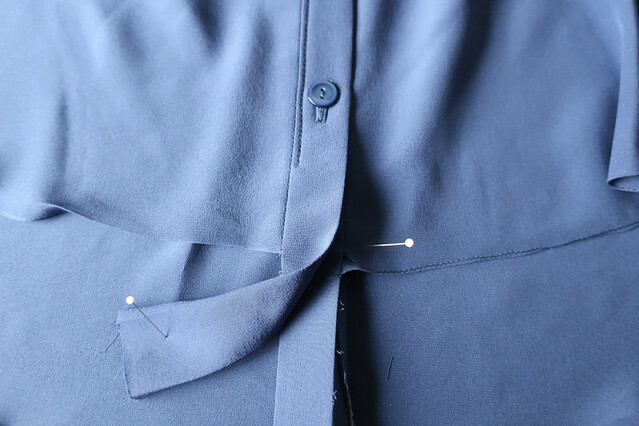 When I do a button front shirt I like to finish the buttonholes, sew on the buttons and then hem the shirt. I've found this is the best way for me to get the center front right, and not have the underneath peek out at the bottom. Which involves a bit of extra work. I hemmed the shirt bottom, lining up the two sides and then finalized the bottom of the button band. I quite like the length of this shirt - longish in the back but not too long. I'll have to remember that when I hem my next shirt. Here's the illustration from the magazine. April 2018. I have searched for other versions of this shirt online, not found many. I think Burda suffers in that it it's a bit difficult to tag the various specific patterns on Instagram so it makes finding inspiration or comparison difficult. 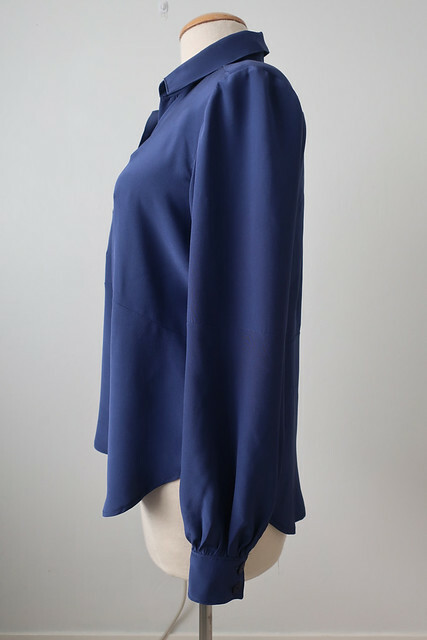 So that's the latest on my blue silk blouse. I find it a bit funny as I used to dislike navy blue and dark blue in general and now I have quite a few things including 3 shirts in dark blue. Oh well, it's nice to explore the color wheel. Although brown/rust/beige - not going there! With apologies to everyone in the polar vortex - we have daffodils blooming and yesterday afternoon I was out in the front yard pulling weeds and planting some new succulents. In a t-shirt! Saying hi to people out walking their dogs wearing shorts! It's not really shorts weather although some people do seem to wear shorts all the time. Oh California - so smug until the big quake comes and knocks us into the ocean 😎 Hopefully not in our lifetimes (or anyone's). 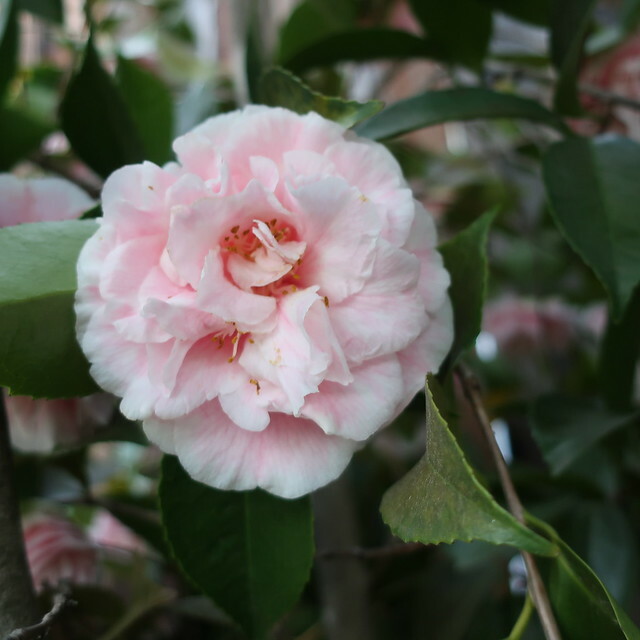 Today's garden photo - a pink camellia. They are messy shrubs and seem to be all over in the older suburban neighborhoods. I think because they stay green all year round and don't need much to keep blooming. The flowers don't last long but they are pretty and bloom in January when we need some color. I notice something that looks like satin stitching on the button band. Is that just something in the photograph or an added detail? Beautiful shirt! And it's my color s o if you have a closet clean-out and are getting rid of it, let me know :)! Beautiful shirt and I really like that color of blue too. No browns or rusts for me either! Lovely shirt! 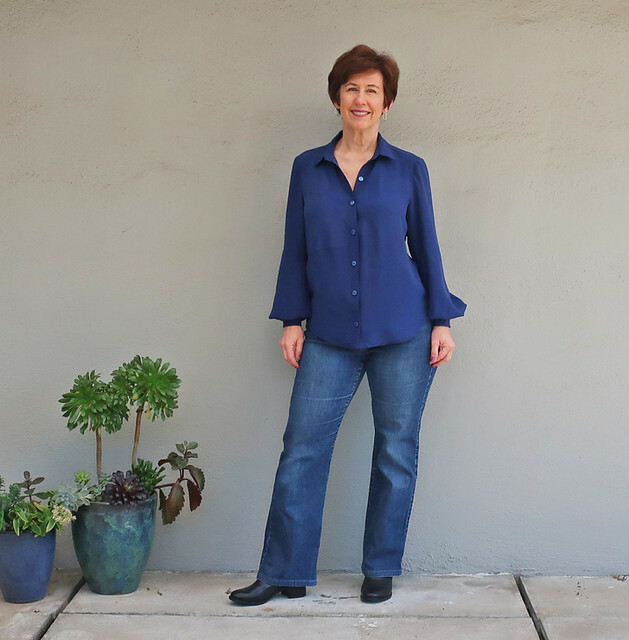 I am an avid reader of your blog - and especially today's post because I am about to start that very shirt!! Any and all tips are welcome. Where exactly did you add the 1/4"? My dream is to be able to sew clothes that looks as beautifully sewn as all of your garments. Hi Angela - I didn't add anything, and I recommend you sew the pattern as it is, it will be ok. I think the neckline is sagging a bit on mine as because of the limp fabric. thanks for the compliments! Hi Beth, I read your blog but never comment (Bad me!). I love your garments that you make for yourself and others. I do want to say about the wall color: It's a neutralish medium color which is a good background for pics- I think the white would contrast and glare. The color that it is now allows you and the clothing to be the star of the photo. Anyway, just my opinion! Keep up those wonderful informative posts, often they are a bright spot in my blog reading day. I cannot wear brown clothes. Just...no thank you. I even have this issue! I love this on you. It's perfect. Do you hand wash or send your silk shirts to the cleaners? I have those camellias in my yard. They do well in the shade, which makes them popular for the north sides of houses. They need 2.5x as much water as the average rainfall in my yard, but I planted them where they get double the rainwater from roof runoff. So I only have to deep water them 1-2x/month in the summer. 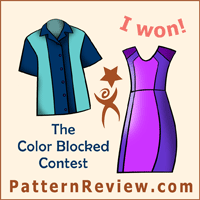 It's a lovely shirt pattern, and looks great on! 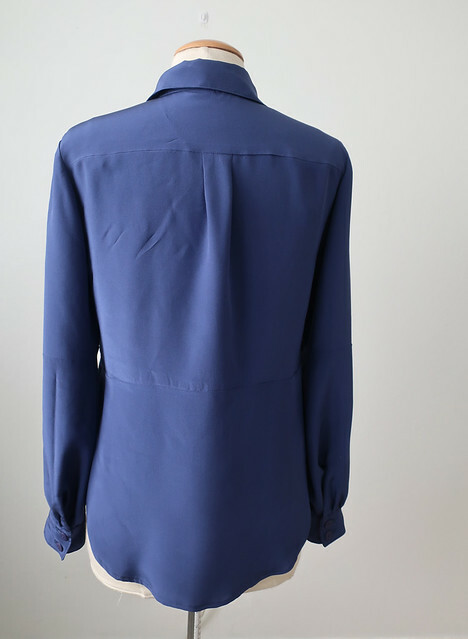 I presume you took out the horizontal sleeve seam seeing as I can't spot any such seam on your beautiful shirt (shame the front dart details don't work quite as well as in cotton!)? thanks! the sleeve seam is there, as the lower part is much wider than the upper part, that's what gives it the fullness at the bottom. Such a beautiful blouse and you did a wonderful job with the tricky fabric. I loved this pattern when it came out and really must get around to trying it!